Painting of a mermaid I bought in in Denmark, where the Hans Christian Andersen is from. My favourite fairy tale is The Little Mermaid. I was first drawn to the Disney movie as a child because Ariel had red hair like me, got to swim with all the fish - I love fish - and could sing. I knew Hans Christian Andersen had written the original story, and I knew that it differed quite a bit from the Disney version; that the prince didn't love the mermaid, that her sisters gave her a knife from the sea witch to kill the prince with, and that she instead killed herself. But it wasn't until I was a teenager that I actually read the original story, and I fell even more in love with The Little Mermaid. The tragedy of the story is what appealed to me most, how heartbreaking it is; this poor little mermaid who gave up everything for a chance at happiness, and ended up dying instead. There's something I've always found quite beautiful about a tragic story. But I'm also very much aware that it's a story. Unrequited love isn't great, but it's possible to get over it. I know the mermaid would have died anyway, but choosing to die so that the prince can live is, I feel, romanticising suicide, which I think is problematic. Also, I don't think anyone should give up everything for the person they love. The fact that the mermaid gave up her life as a mermaid, never to return to her home, never to be with her family again, that she changed her body, gave up her voice, and chose to spend her days in physical pain, what with every step she takes feeling like she's walking on knives, for the prince is deeply unsettling. But we know this, right? We know that we shouldn't turn our whole lives upside down for someone else, give up everything for someone else. So, as we know that, I think it's fine to suspend disbelief to enjoy a story that was written 181 years ago, that is quite clearly of it's time. But, because we know all this, these are things that authors today can explore. They can challenge the problematic elements of the story. They can take this short story and expand on it. They can write retellings and tell a similar but different story. And as this is such a beloved story of mine, I want all the retellings I can get my hands on. I though I would share with you some of the retellings I've read, and ones I'm looking forward to. The links for first two go to my reviews, the other links to go Goodreads. Drown by Esther Dalseno is so incredibly beautiful. It stays true to the original story, but expands on it to create a much richer fantasy world, with incredible world building. 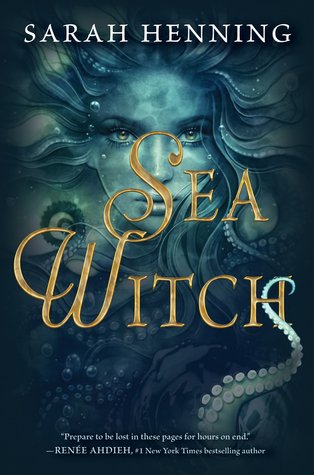 It includes the origin story of the sea witch, how the merfolk - who feel no emotion - came to be, a contagious disease that is killing them, a prince who is a person of colour with a mental illness, and wraps it all up in such an incredibly heartbreaking story. It's enchanting and lyrical, but has a lot to say on beauty, and the treatment of the disabled. It's so achingly gorgeous, and I fell in love with it hook, line, and sinker. 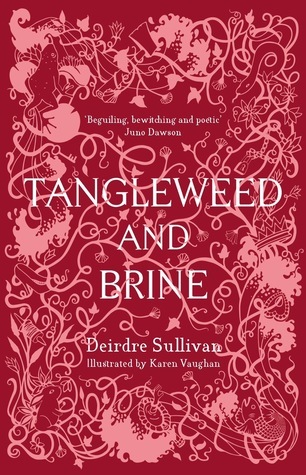 Deirdre Sullivan's Tangleweed and Brine is a collection of feminist fairy tale retellings, and her The Little Mermaid retelling, Consume of Be Consumed, is simply wonderful. In this story, the mermaid is angry. She has given up absolutely everything for this man, and she's homesick, she misses her family, she can't talk, every step hurts, and her legs are ugly. And to top it all, not only does the prince not love her, but he has shocking plans for the mermaid - though not necessarily shocking for the time. But this mermaid has plans of her own, and will not let the prince dictate her life to her. I absolutely loved this short story! It includes all the details from the original, but puts such a spin on it. Everything a feminist would have abhorred in the original is remedied in this retelling. It's just fantastic - as is the whole collection - and I adored it. Now on to the ones I have yet to read, but am eagerly anticipating! 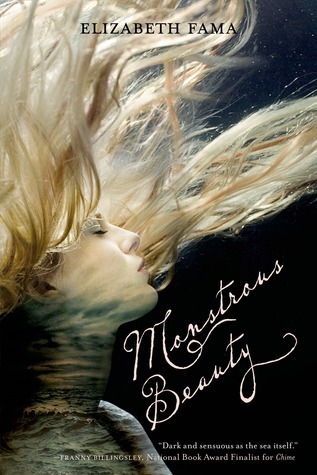 Monstrous Beauty by Elizabeth Fama is set several generations after a mermaid, Syrenka, fell in love with a human, when she chose a chance at happiness on land - a choice that came with consequences. In present day, Hester knows that love and death are linked in her family - is it a genetic defect, or a curse? When she meets a mysterious boy she's inexplicably drawn to, who knows something about her family's past, she investigates her family's history with his help. But there are forces who don't want Hester to discover the link between her family and Syrenka, and the tragedy of the past. It's been described as horror, murder mystery, and historical fiction, and it sounds so exciting! 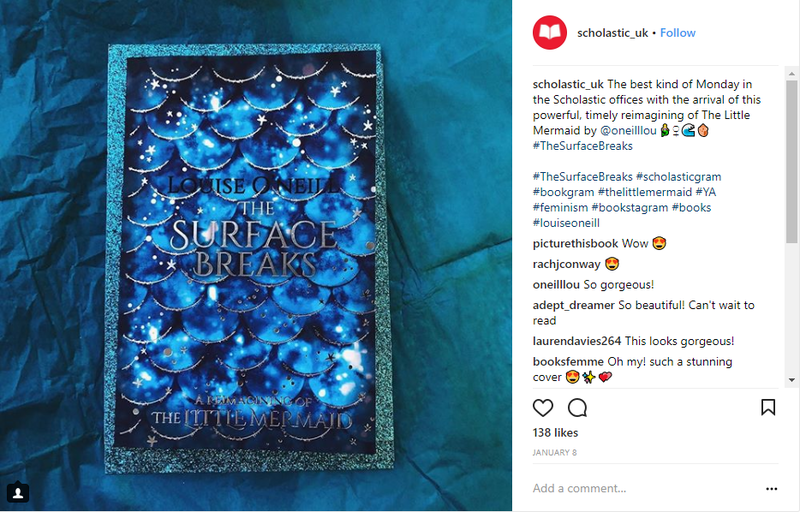 This post was inspired by me looking for more The Little Mermaid retellings, and I bought several of the ones I discovered, and this one has already arrived! I'm so excited to read it! Mermaid by Carolyn Turgeon sounds incredible! It's dual-narrated by the mermaid, Princess Lenia, and the woman who finds the Prince on the shore, Princess Margrethe. Margrethe is astounded to see a mermaid bring the almost drowned man to shore, but the mermaid has disappeared by the time she gets to him. When Margrethe discovers that the man is a prince, and the son of her father's rival, who her kingdom is at war with, she believes the mermaid brought the prince to her for a reason, and believes a marriage between her and the prince can finally bring about peace. But Lenia longs to be with the prince she saved, and is willing to give up everything to be with him. Aah, how incredible does this sound?! Unfortunately, this now seems to be out of print, so I've had to buy a second-hand copy. Really looking forward to it, though! 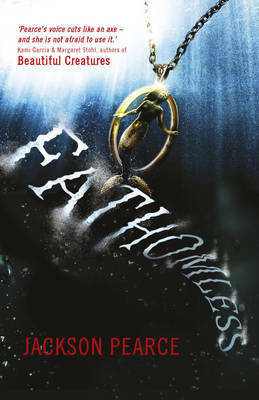 Fathomless is the third book in Jackson Pearce's series of fairy tale retellings, but I believe they're all stand-alones. Celia is the youngest of triplets with power, but she has the most useless power - the power to see into the past. Or so she thinks until she meets Lo. Lo doesn't know who she is or who she was; she was once human, but is now slowly becoming a soulless creature of the sea. Lo is fighting to to cling to who she once was, while being tempted to embrace the darkness of her immortality. When a boy named Jude falls off the pier into the ocean, Celia and Lo both help save him. Their meeting leads to friendship, but they are soon rivals for Jude's affections. But that's not all Lo is after; she's heard from the ocean girls that the only way to get her humanity back is to persuade a human to love her, and steal his soul. Such a twist on the original! A human becoming a mermaid who wants to be human again! So different! But so intriguing! This also looks like it's out of print, so I'm waiting on a second-hand copy to arrive. 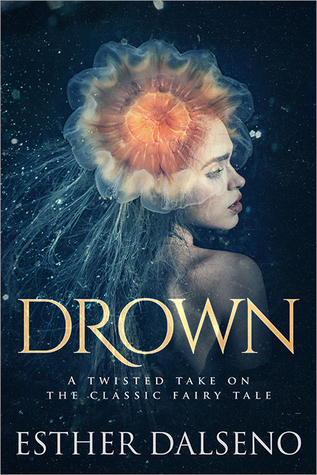 This is a little different to all the other retellings I've mentioned, it's more of a contemporary story inspired by The Little Mermaid. When the youngest of six talented singing, Tobagonian sisters, Elyse, is in a boating accident, she loses her voice. She accepts a friend's invitation to Atargis Cove, named for the mythical first mermaid, seeking solitude. But there she meets Christian, a bad boy who is the only person who doesn't treat Elyse as if she's fragile. 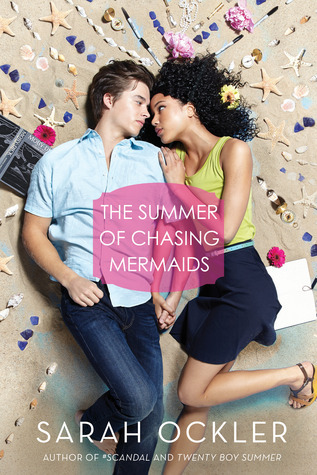 He challenges her to express herself, and likes the way she treats his little brother, who believes her to be the legendary mermaid come back to life. Seduced by Christian's charms and those of the Cove, Elyse starts to wonder if solitude is what she really needs. But doing so means facing her past, and opening her heart to a boy known to break them. This book was so highly praised when it originally came out, and I'm so excited I now finally have my own copy to read! Being the huge fan of The Little Mermaid that I am, I am really excited that this year, we're getting two more retellings - or, rather, one retelling and a prequel origin story. This is a prequel origin story of, you've guessed it, the Sea Witch. Evie, who lives in a small fishing village, tried to save her best friend Anna from drowning, with magic. She failed, but now she is an outcast and dubbed a witch. When a new girl appears with an uncanny likeness to Anna, Evie believes her magic worked, even though the girl denies she is Anna. And when the two girls steal the hearts of two princes, Evie feels she'll finally get her happy ever after, after all. But the new girl has secrets, and Evie must help her to stay in Havnestad - and on two legs. Now Evie will do all she can to save her new friend, and to keep her prince's heart, harnessing great power before realising the truth of her bargain. I am so excited to read this book! Image Source: Scholastic UK on Instagram. Aah, another YA novel from Louise O'Neill! Not only that, it's a The Little Mermaid retelling, and searingly feminist, apparently! There's no image available on Goodreads, so the above image is taken from Scholastic's Instagram page. It follows Gaia, a mermaid who lives off the Irish coast, dreaming to escape life under her controlling father. On her first trip to the surface, she is drawn to a human boy she sees and his world, but what will she sacrifice, and will she learn to find her voice? We're not told much more than that, but I don't need much more. It's The Little Mermaid! Louise O'Neill! Feminism! I cannot wait to read it, I am so excited! So do you have a favourite fairy tale the retellings of which you love to read? 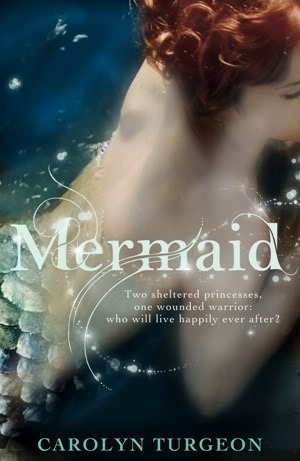 Do you know of any other retellings of The Little Mermaid I should get my grubby little hands on? Let me know! Uwahhh, so many interesting stories! I love the concept of mermaids but haven't actually read much about them. I will definitely be checking out some of these books. The two you've read both sound fantastic. Like you, I was always a Little Mermaid fan, but I haven't read many (any?) retellings. I'll have to check those out!